Two extraordinary chamber music concerts are scheduled at the historic Annisquam Village Church this summer. Audiences will hear exceptional instruments in the hands of world class musicians: four of the Jeremy Adams keyboards featured in the recent “Voicing the Woods” exhibit at the Cape Ann Museum and a baroque Venetian cello that once belonged to Paganini. Music of Vivaldi, Bach, and Scarlatti opens this double-header Sunday, July 23 at 8 p.m. Viva! Viva la Musica! features cellist Jonathan Miller and renowned harpsichordist Frances Conover Fitch. Mr. Miller, a 43-year veteran of the Boston Symphony Orchestra, is Artistic Director of the Boston Artists Ensemble and a favorite with area concert-goers. His cello was made in Venice by Mattheus Gofriller, ca.1700 and Miller is eager to bring it to the Village Church's intimate, resonant space. 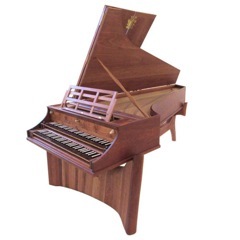 Ms. Conover Fitch will play the French double-manual harpsichord made by Jeremy Adams in 2016. 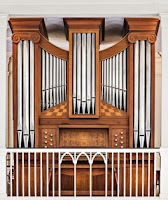 Her concerts and demonstrations on Adams's harpsichords during the Cape Ann Museum’s exhibit were over-subscribed. “This is another chance to hear instruments of master craftsmen played by master performers,” says AVC Music Director, Kathleen Adams. 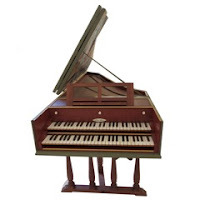 The summer series continues Sunday, August 20 at 8 p.m. when the Wood, Wire, and Wind of the harpsichord and organs strike new balances between the instruments. 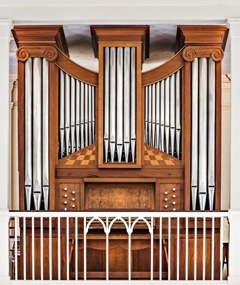 Andrew and Beverly Soll will perform duos and solo works on each, stretching the repertoire to celebrate the remarkable flexibility of these instruments in the ideal acoustics of the historic 1820’s building. Violin and viola will join them on one of the pieces, extending the range of sounds for an unusual ensemble offering. f an “Ode” from Annisquam’s beloved bard, Duncan Nelson. Tickets: $20 per event (Students and seniors, $15.) are available at the door or in advance at The Bookstore or Diamond Cove Music in Gloucester and at Toad Hall Bookstore in Rockport. The Annisquam Village Church is located at 820 Washington Street in Gloucester (01930) and is handicap accessible.